Meet the owner of Upstate Auto Center Mike Edwards. Mike has been running Upstate Auto Center for nearly 30 years in Cortland County. He knows what a quality vehicle looks like when he sees one, and strives to show those same qualities in his hands on approach to customer satisfaction. Stop by and meet Mike today to see how he can make your vehicle buying experience the easiest and most pleasant one you have ever had. Meet the general manager of Upstate Auto Center Matt Crumb. Matt has been selling cars in Cortland County for over a decade. He is very knowledgeable in the automotive field and has an extensive background in customer service. If your looking for an honest no pressure sale approach Matt is your man! He will take the time to go out of his way to help you in every aspect of your vehicle purchase and answer every question you may have. From the moment you turn the key on your first test drive, until you drive away in your new pre-owned vehicle, Matt will be there every step of the way. Stop by and meet Matt today and see how easy buying a pre-owed vehicle can be! 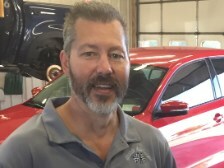 Meet the detailer at Upstate Auto Center Mark Tanner. Mark Is in charge of maintaining that spotless appearance of all our quality used vehicles. He gives our vehicles the "white glove" treatment. From thoroughly washing, vacuuming, shampooing, and extracting out those stubborn stains to color sanding, wet sanding, buffing and touching up all those fine scratches, Leaving the vehicle with that lasting beautiful finish! No job too big or too small for our guys to handle in the detail department. Schedule your complete detail with us today and meet Mark!